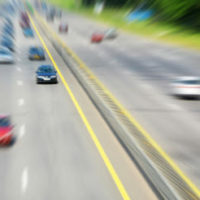 One person was killed in a tragic three-vehicle collision on SR-31 in DeSoto County, Florida. Reports indicate that a car was attempting to pass another when it hit an oncoming big rig, according to NBC 2 News. The car that collided with the semi-trailer overturned and ended up in a ditch. The semi struck then wound up colliding with a third vehicle. A passenger in the passing vehicle died at the scene. Two others, including the driver and another passenger, suffered significant injuries. They had to be airlifted to receive emergency medical treatment. This is a heart-breaking incident and exemplifies the importance of taking the necessary precautions when changing lanes and passing other vehicles on the road. Losing a loved one is always gut-wrenching, but the pain is exacerbated when you learn that the death of your spouse, sibling, child, etc. could have been avoided if another individual had not failed to take the proper precautions when behind the wheel of a vehicle. The loved ones of the passenger who died suddenly in the awful De Soto accident may be able to pursue some semblance of justice by filing a wrongful death lawsuit. With every lawsuit, including wrongful death lawsuits, there is a finite period of time in which a claim must be filed against the at-fault individual. This time limit is known as the statute of limitations. Each state defines its own statute of limitations for civil claims. It is important that your Jacksonville wrongful death attorney takes the necessary steps to ensure your lawsuit is filed before the statute of limitations expires. Why? Because once the statute of limitations has passed, courts no longer have the jurisdiction to punish the at-fault party and have a jury award compensation to the loved ones of the victim(s). In Florida, the statute of limitations to file a wrongful death claim is two years from the date of death. For example, if a loved one passed away in a car wreck on March 1, 2017, the statute of limitations would expire on March 1, 2019. Failing to file a claim within the wrongful death statute of limitations may prohibit the deceased’s family from ever recovering monetary damages for their loved one’s death. Do not let this happen to you. Make sure the at-fault driver is held responsible for their irresponsible behavior. Pursuing monetary damages can also send a signal to the community, and the at-fault driver, that the behavior resulting in the death will not be tolerated. Gillette Law, P.A. is centrally located to serve clients in Florida who are in need of a personal injury and wrongful death attorney. Contact us online, or call us at 904-358-1304 or toll-free at 888-366-5904. We offer a free initial consultation and work on a contingency fee basis, so you pay on a percentage basis only when we win your wrongful death case.